Most truck drivers earn their wings, so to speak, in truck drivers school. The industry has proven that the best drivers are those who have completed an accredited course that includes all aspects of the truck driving profession. So when you consider that many RV owners and drivers are well into retirement, or those who only get behind the wheel of such a large vehicle when they head out on the highway a couple times a year, the idea of some specialized RV training seems pretty reasonable. Some states even require you to upgrade your driver’s license before you can operate an RV. For example, California requires that you obtain a non-commercial Class B license if your motorhome is over 40 feet in length. A good RV driving school can teach you all the same skills that the professional truck drivers need — including how to make a daily safety inspection to ensure that your RV is ready to hit the road, and how to handle your RV in many different situations. There are RV driving schools with multiple training locations around the country allowing you to get specialized training close to home. Most cities will have a truck driving school program in place too. Here in Duluth, Minnesota a local community college provides over the road training for truckers. With the high demand for truck drivers, training institutions are located wherever the population is large enough to supply candidates. Many of these truck driving schools may have RV training in place. Or, if they don’t, it’s very likely if there is enough interest they would gladly develop such a program. Even if an actual behind-the-wheel program isn’t available in your area, many organizations also provide classroom instruction. 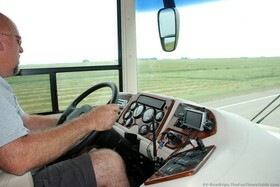 AAA’s RV Driver Improvement Program is one example. Plus, insurance companies often offer drivers courses as ways to help people avoid accidents. Some may even offer a discount on your insurance policy if you attend programs geared for drivers over 55. Often at RV rallies or large sales events like RV shows you will find organizations like The Good Sam Club hosting seminars which help you improve your RV driving techniques. The Good Sam VIP Safety Rally is one such example. Sometimes, RV clubs or groups whose main purpose is organizing group trips and outings may set up special sessions and bring in an instructor to highlight RV safety procedures. One thing’s for sure, over the years when I’ve taken the time to attend RV seminars or training events, I’ve always come away with some new bit of knowledge I had overlooked in the past. I highly recommend sitting in on an RV driver safety course whenever the opportunity arises — whether you are a new RV driver or an experienced RV driver. It’s well worth your time. After all, you don’t want to be the RVer that all the truckers are cursing about over the CB radio due to your poor RV driving skills — or because you’re creating a road hazard by doing something really stupid like dragging your TV antenna behind you after it caught a tree branch when you forgot to lower it! RV Education 101: Play It Safe! 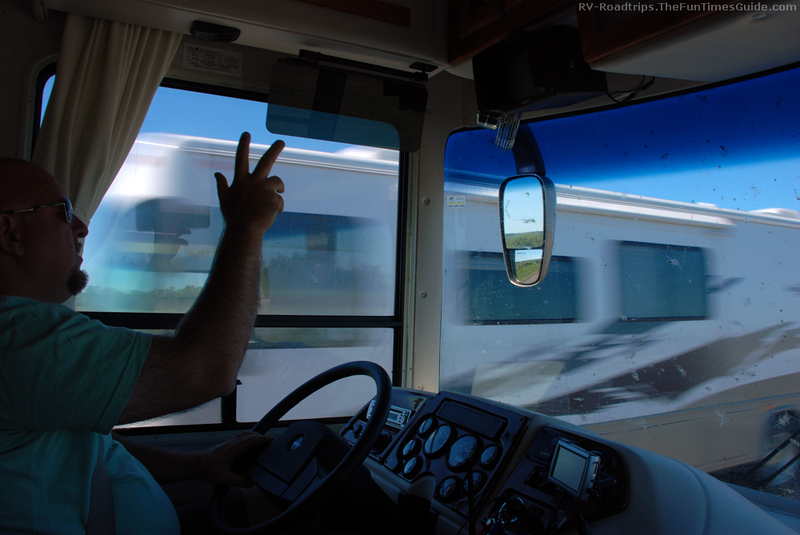 Professional Driver Training For RVers Is Worth It!